Un papier origami basique à moindre coût pour s'entrainer sans avoir peur de gâcher. Very useful as to not waste more expensive paper. Cut very accurately and reasonably thin. Ihisisaeurosymbolve tested multiple sheets of this paper and Ihisisaeurosymbolve found that not a si... (Lire la suite)ngle one is a square - even though it is advertised as being so. This paper really would be great if it was actually a square! The white test paper has worked nicely with the size of my desk. I have been using it to practice th... (Lire la suite)e works of Satoshi Kamiya. It has been sturdy enough so far to take the multiple folds required for the Divine Dragon. The paper is thin and not very durable. Nevertheless perfect for test folds. Très bien, solide, agréable à plier. Great paper. Painted with acrylic paint, it can not only be used as testing paper, but for normal fo... (Lire la suite)lding as well. Large test paper is really useful to try out designs, thinner than normal A4 and can cope with more ... (Lire la suite)complex models. Son loves this. Great value. Great for trying complex models before using expensive, good paper. Highly recommended. Perfect 40x40 sheets. 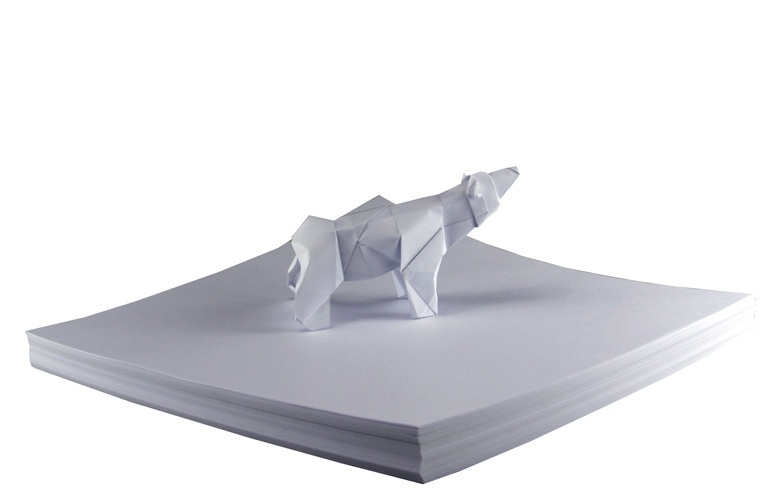 They are great to grab and go to start test folds and fold sequences. Will ord... (Lire la suite)er again! They are very similar to printer paper in my opinion. Très pratique mais un peu trop épais. Für Anfänger wie mich nicht so 100% gut, weil nicht 2farbig.